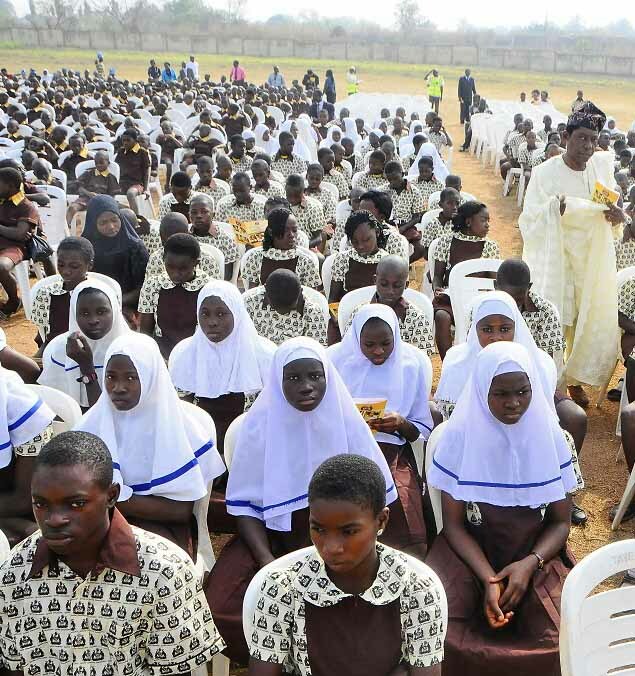 The Christian Association of Nigeria, CAN, on Wednesday, said if Muslim students continue to wear hijab to public schools in Osun state, Christian pupils will equally not stop wearing church garments and other apparels. This declaration was made known by the Vice Chairman, VC, of CAN in the state, Pastor Moses Ogundeji. This is coming after the state governor, Rauf Aregbesola, restated that no student is allowed to put on unauthorized uniforms to school in the state, following the instruction of CAN in the state that students should go to school in church garments. DAILY POST gathered that some students of Baptist High School, Iwo stormed the school, wearing different church garments on Wednesday in continuation of the Tuesday drama but were prevented from going inside. In their response to the governor, CAN is insisting that the governor should be ready to expel all students in the state, if Christians and Muslim students cannot be treated alike. “If the governor is fighting for the right of the Muslims, we will also fight for the right of the Christians. “He should be ready to expel those wearing hijab because hijab was never part of the school uniform,” Ogundeji added. The Secretary of CAN, Apostle Joseph Olaide, also said while addressing the gathering, that Christian students cannot be stopped from wearing church garments, adding that CAN should be notified if security men arrested any of the pupils, saying the leadership would take up the case. Meanwhile, CAN and Muslim leaders are to meet with the Oluwo of Iwo, Oba Abdulrasheed Akanbi today to resolve the situation and avert any crisis that may erupt from the controversy.